Paddles ready! 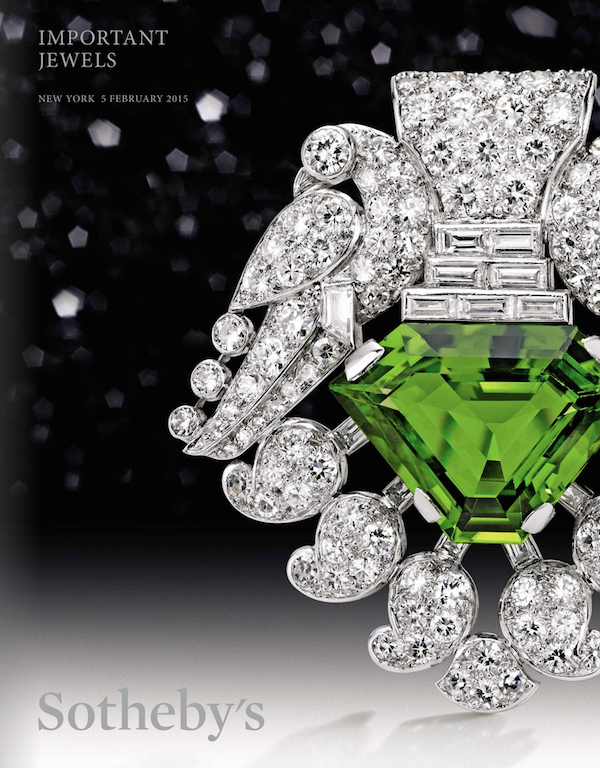 On Thursday at 10:00 AM in New York, bidding for Sotheby’s Important Jewels auction will begin. Last night (Tuesday), Sotheby’s held a “Come Try It On” cocktail preview for the show. From legendary houses to unknown artists and from Victorian to contemporary, the pieces include a wide range of price points and styles. With many specialists on hand, attendees were invited to take selected pieces for a spin to become familiarized with them before perhaps adding them to their provided wish list. 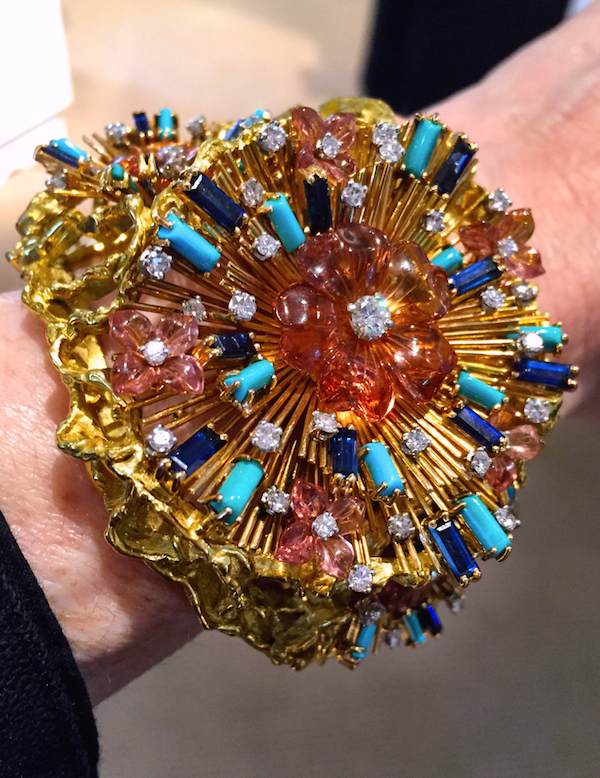 While there is certainly a plethora of diamond jewelry, I seemed to gravitate toward the larger more colorful pieces, and as those who follow along on Instagram saw, I was particularly smitten with this spectacular statement making Spritzer & Fuhrmann bracelet. Of 18k gold, it includes pink tourmalines, sapphires, turquoises and diamonds. 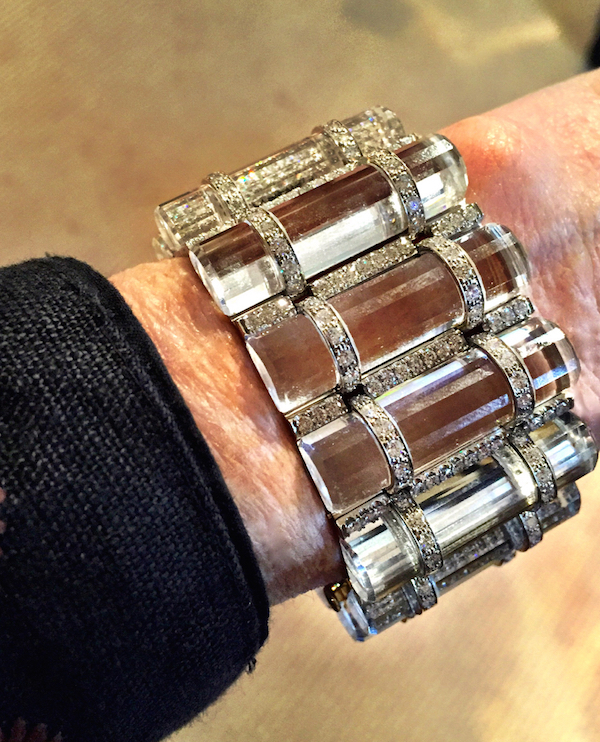 Another favorite was this smashing platinum, rock crystal and diamond bracelet by Aletto. 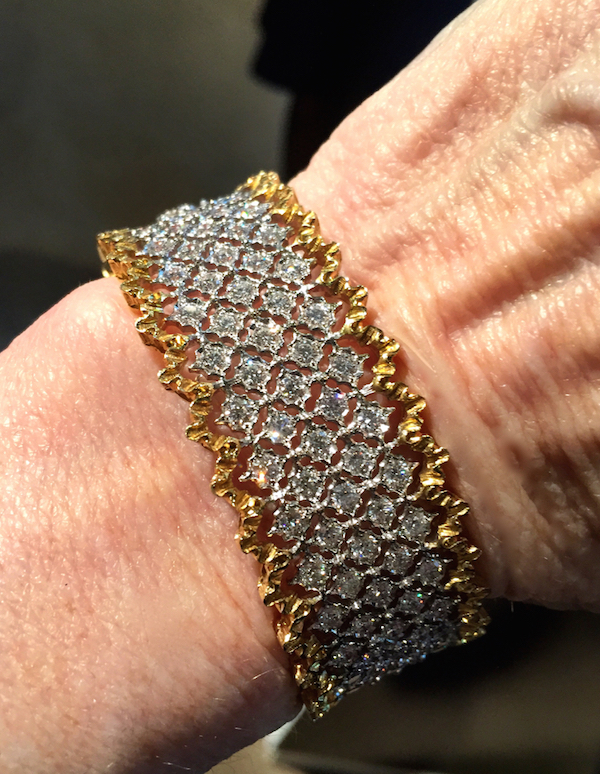 And for a more timeless tailored look, this elegant Buccellati two-color gold and diamond bracelet would do the trick. For major impact, this Verdura tourmaline torsade is a winner. 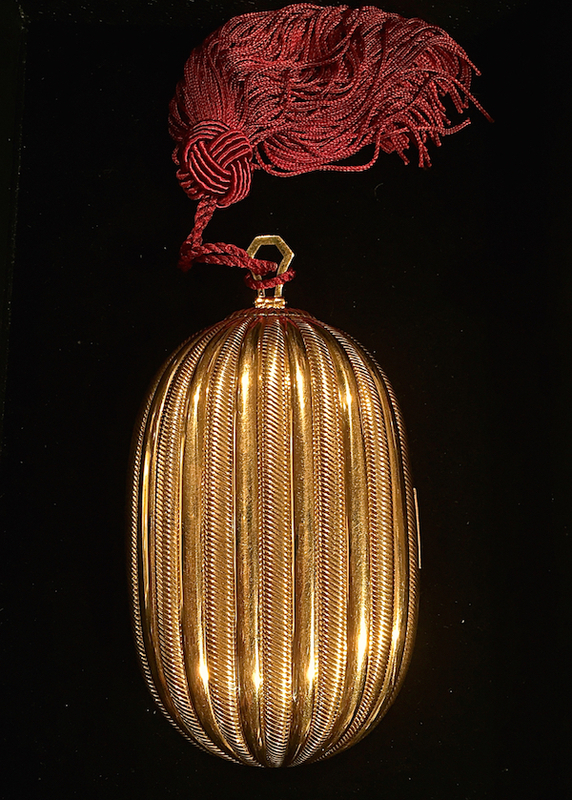 With ten strands of twisted beads, it is held with a stylized tassel-like catch. with floral shapes clasp accented with small round diamonds. 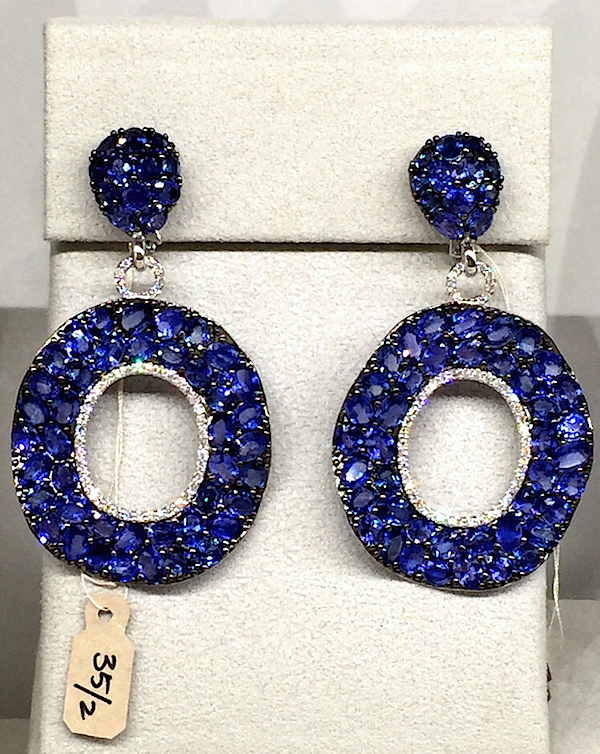 I liked the irregularity of these sapphire and diamond earrings signed Piranesi. Seemingly rough cut stones added a certainly primitive quality to the 51.85 carats of sapphires. In addition to jewelry, there are also some charming accessories including this chic 18k gold and diamond Bulgari evening bag. 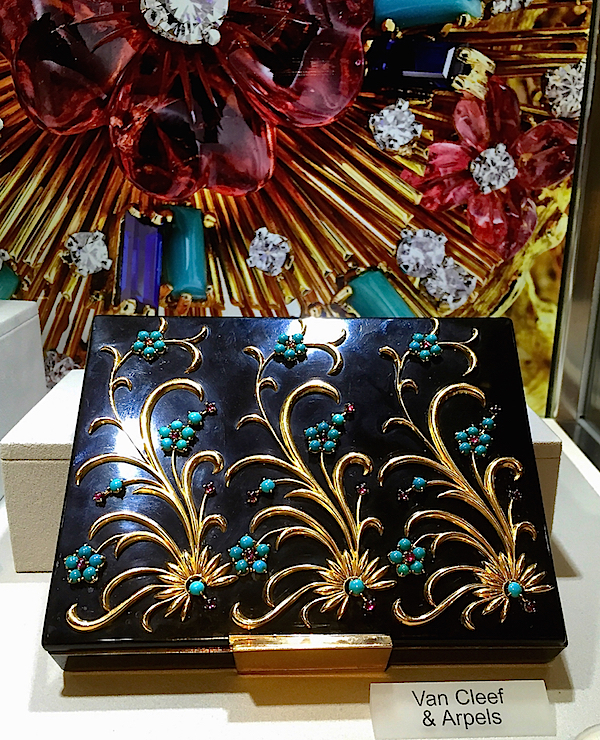 and this exquisite c. 1939 Van Cleef enamel minaudière articulated in gold with turquoise and ruby cabochons. Fitted with places for lipstick and powder, the inside has a separate black enamel compact – so glamorous! 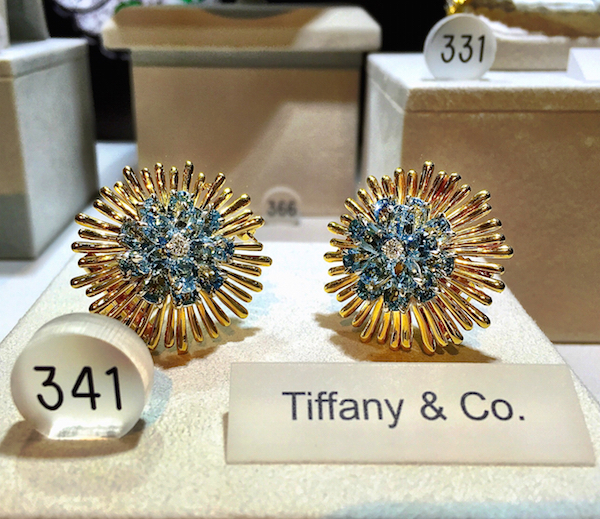 These are merely a very few personal picks from a vast array of important jewels. And if you or someone you know is newly betrothed and looking for an engagement ring, there is an abundance of choices in that category as well. With estimates as low as $5,000, it is worth taking a stroll through the beautiful catalogue (or in person if you live in New York City). Happy bidding! This entry posted in jewelry. 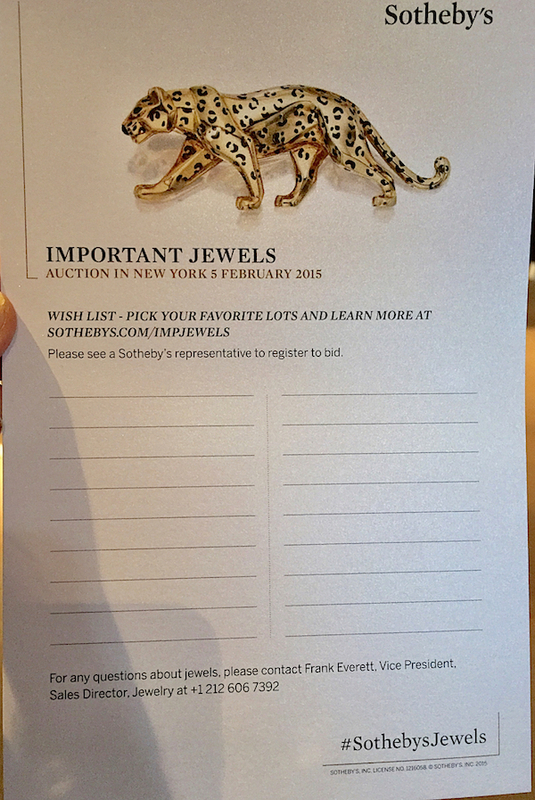 Entry Tags: auction, important jewels, Jewelry, Sotheby's Bookmark the permalink. Beautiful coverage of some stunning rare finds! Always a treat to read your blog! Your writing and images are always so wonderful! Thank you!!! Stunning jewels all Stacey, and I love the brooch(?) on the catalog cover! Very beautiful! 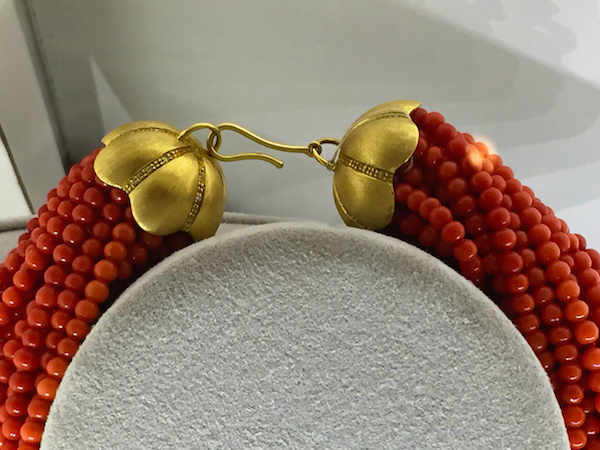 Jewelry, like all great art, is crafted to showcase excellence in design, materials and talent of the artist. anyone older would just look matronly and sad. those Jewels are meant for young people! On young skin!!! Penny, I beg to differ…Dodie Rosekrans was famous for oodles of bulky chunky jewels…and she wasn’t under 30. That Bulgari minaudière and VCA compact are AGELESS & TIMELESS. 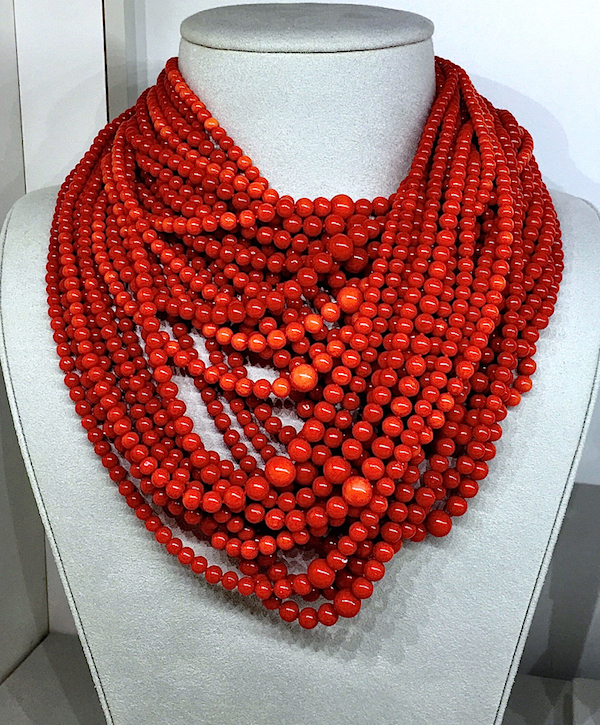 I think the VERDURA Torsade would look great with your hair and famous white ensembles, I’ll take the Sapphire earrings to wear to Trader Joes with my Jeans and Minnetonka Mocs! Love your comment – and I’m totally with you, especially since I personally tried every piece on. Those bracelets were shot on my 30 + wrist! 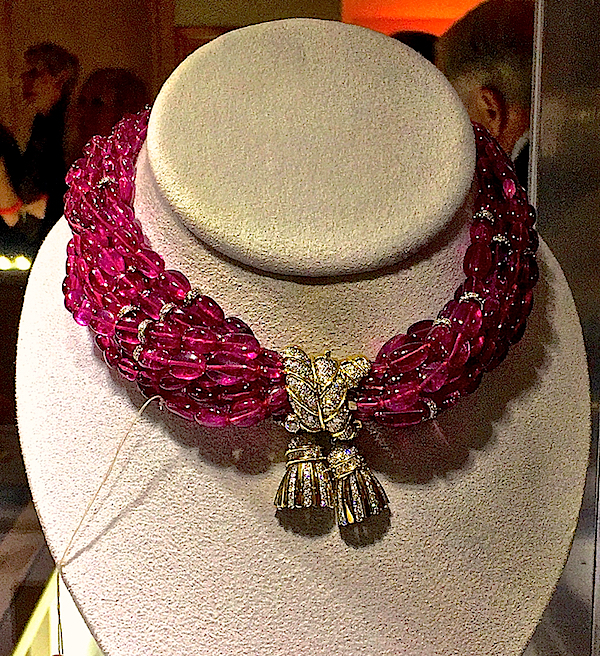 And also agree that the Verdura piece would look smashing on you Penelope! Gorgeous!! Just in time for the holiday (hehe)!! 83 queries in 0.405 seconds.